Love Story - The movie that probably made the word "Heart throb" familiar to India in 1981. Directed by Rahul Rawail and introducing Kumar Gaurav and Vijeta Pandit, Love Story was the perfect launch pad for these young actors. Join us as we talk about the cuteness that is Kumar Gaurav, Tumblr blog dedicated to Kumar Gaurav and of course, 2017's favorite word of India, Nepotism. You can listen and subscribe to our podcast on iTunes / Stitcher / TuneIn or on YouTube. You can also listen to this episode right here on this player below. •We talk about Nepotism and wonder if it can be justified - sometimes. Maine Pyar Kiya - Directed by Sooraj Barjatya and starring Salman Khan and Bhagyashree, Maine Pyar Kiya is as quintessential as it gets when it comes to 80's-90's Hindi Cinema. So, it was a delight to talk about the gorgeous 90's Salman Khan, his leather jacket and Rajshri Production's choice to repeat the wardrobe in their movies. 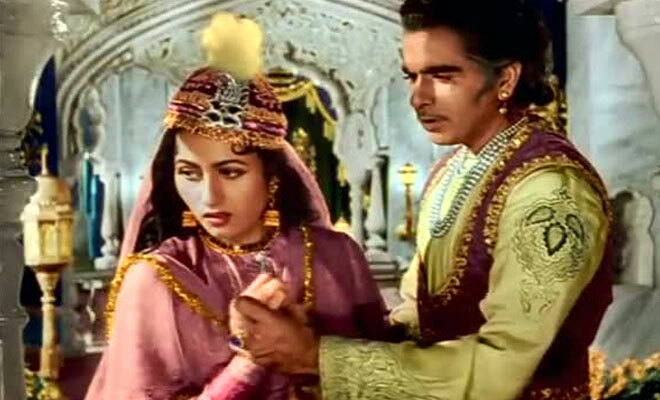 We are kicking off our first series of "Top 10 Quintessential Hindi Movies" with Mughal-E-Azam, a 1960 Indian period directed by K. Asif and starring Prithviraj Kapoor, Dilip Kumar, Madhubala, and Durga Khote. Join us as we talk about Fashion, Blue Blood and more. • We talk about Fashion in this movie and we specifically talk about the cap (Pic above) and how Madhubala wears it so well. • We talk about the number of years it took for this movie to be made and released. Ek Duje Ke Liye - The epic romance between two states way before a certain someone wrote a book ;) Directed by K. Balachander and starring Kamal Haasan and Rati Agnihotri. Join us as we talk about the gorgeous Rati Agnihotri, the phenomenon that is Kamal Haasan and of course, fashion.